I have my blog to thank for a lot of things that I have now. To be honest with you, I get 50% or probably, even most of my income from blogging. If you want to know about the different ways you can earn from blogging, let’s talk about it in my workshop on October 24 on Blogging 101 for Raket One. Sorry for the shameless plug! But going back to my point, I am grateful for all of the things that my blog has given me — from the free stuff, to having my very first commercial where I actually spoke (haha! ), to meeting new people, to giving me a ‘voice’ that I could use to tell people about my advocacy and mission. But being a successful blogger is not easy. Mahirap sya ha! Success is not achieved overnight. I have been a blogger for 7 years, but to tell you honestly, it was just 3 years ago when I started feeling the success (financially, emotionally) that everyone who wants to be a blogger wants to feel. So today, while lying in bed with this damn sore eyes, I would like to share with you some of the realities of being a blogger, especially when you want to monetize your blog (since starting a business is my forte’… or I would like to think it is. Hihi!). Number one. 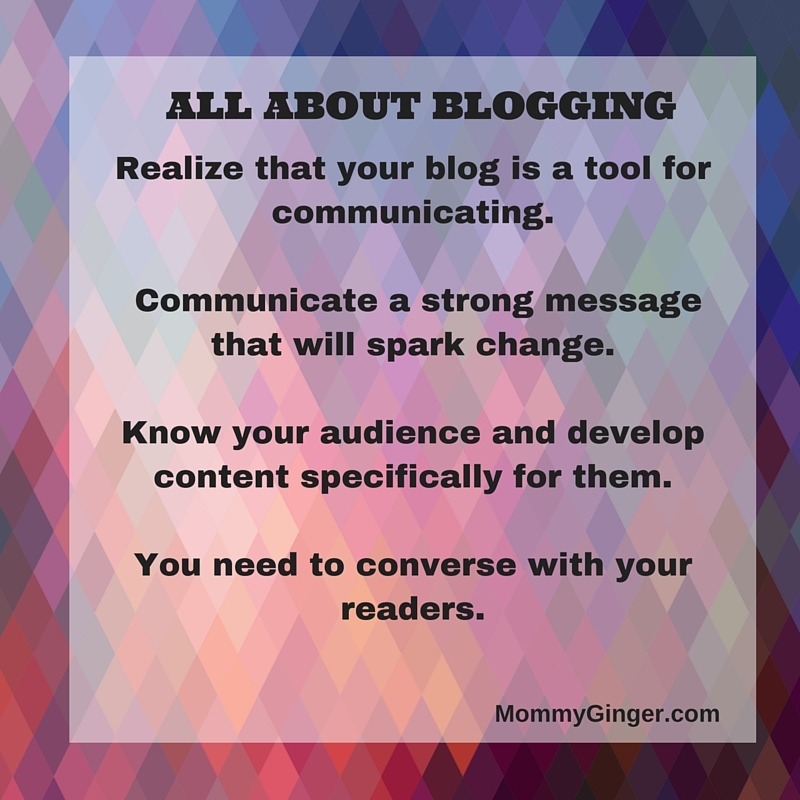 Realize that your blog is a tool for communicating. Look around you. We have so many tools for communication. Phones, chat applications, paper and a pen, newspaper, the television, flyers, printed out pictures (do these still exist? ), picture on Instagram, lyrics of a song — see! We constantly communicate with one another using different tools. So, a blog for me is a tool. It’s a tool that you can use to communicate a message. What people don’t realize sometimes is that they are lured into the blogosphere, and they suddenly want to start a blog, not knowing what is it that they really want to write about. This brings me to my second point. Number two. Communicate a strong message that will spark change. Don’t you want to inspire change? Don’t you want to contribute to the betterment of society? All of us want to make a difference. Yes, believe me. The difference just comes in when we talk about the degree, expanse or scope of change or difference. For example, looking at a blog about creating a greener environment may be impressive, but also reading a blog about a motherhood, especially of a mom who raises a child with Autism is also impressive. It’s all about finding your own personal message. What do you want to tell the world? Number three. Know your audience and develop content specifically for them. I don’t mean literally, but if you want to meet every single one of them, go ahead (just kidding). What I mean is that you need to have at least an idea of who you want to talk to. Look at it this way. Imagine yourself in a party with different people in a table. Will you start a conversation about menstrual period if they are all men at the table? With your blogs, you need to have a clear picture of who you are talking to in order to write stuff that they would be interested in reading. Number four. You need to converse with your readers. Yes, I know about it but I am not an expert in SEO. I am not the most amazing digital marketer there is, but there are a lot of marketing tactics that I have used. And these tactics are, to tell you the truth, mostly based on common sense. For example, a lot of the followers that you will have will be people who trust you and believe in you. They will continuously read your blog because they see you as a friend who is willing to help them out. With this, think about how you can gain their trust? They need to really know you, right (either personally or virtually)? They need to see that you are someone that they can talk to and converse with. See? There are a lot of things that you need to think about if you want to be successful at blogging. What people don’t see is that there is a thought process behind everything that goes behind building a blog. This is just the beginning. 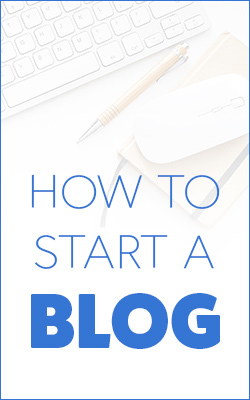 There are other realities or things that you need to think about or even consider thinking about before you start a blog. I’m thinking of creating a part two or even a part three for this post. I have so many things that I want to share with you about blogging. Do you have things that are boggling your mind about blogging? Feel free to comment and share it with me! Please don’t forget to vote for me! 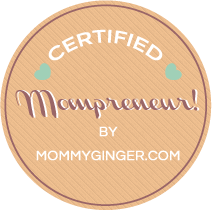 Previous Post Beauty Biz Bliss: We are Here for You! Next Post Homeschooling is Cool!